Still in shock of capture mode, in week 2, the entire platoon has been marched to a classroom to have an insurance brief. Only one product and insurer is provided and you’re informed by your depot staff that you’re not leaving until you have insurance. You go to the NAAFI to pick up some milk, and the young lady in a low cut top offers to discuss your insurance with you for a while, 20 minutes later you’re leaving with maximum cover and life insurance. For the first time ever, through Forces Compare, soldiers now have the ability to choose the most suitable insurance based on their personal coverage needs. The website instantly compares policies from the full range of military insurance categories available on the market. The platform allows customers to browse and purchase deals for kit and contents to personal accident cover. Whilst comparing policies both efficiently and comprehensively, Forces Compare requires no personal contact information from users and coverage can be taken out for the very same day. Due to a professional relationship with the markets insurance providers the firm is able to leverage exclusive discounts for soldiers and as such, should be the first port of call for new recruits. For those who are currently serving and would like to save money or switch to a more compatible provider and policy, the tool is also a must. 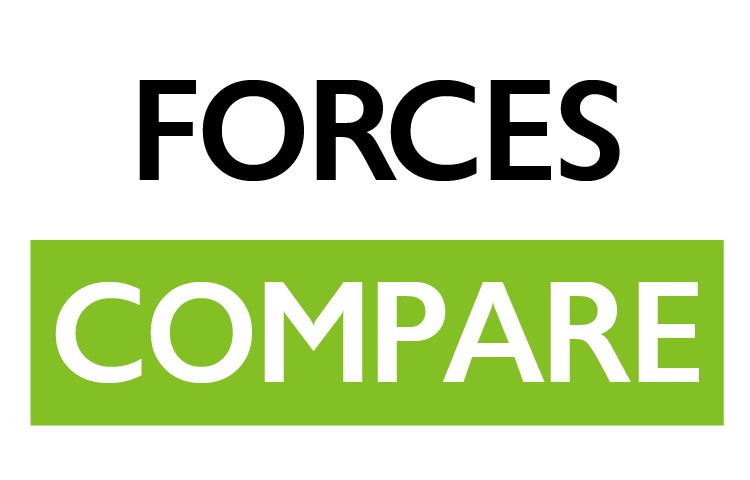 Forces Compare is completely free to use and the only provider of its kind available to military personnel, having launched in January, the team are currently adding more insurers to their professional network for further policy variety and savings. Get a quote today. Compare military kit insurance.